If you're looking for the best we have to offer, look no further. Our NX Series 6.5"" component speaker system is now available for all you true fanatics with newer Rushmore bikes. If you're looking for the best we have to offer, look no further. Our NX Series 6.5"" component speaker system is now available for all you true fanatics with newer Rushmore bikes. 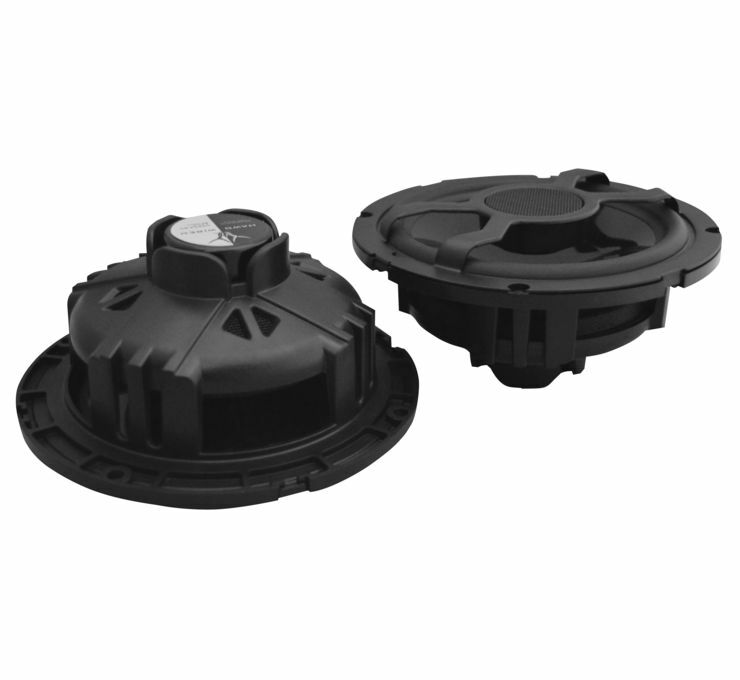 The NX Series speakers offer 160% larger cones than our venerable DX Series, a tight knit 12db per octave crossover network, and our signature bridge mounted component tweeters. The combination adds up to one of our best speaker systems to date, and specifically designed for 2014-newer Rushmore bikes. Get ready to get loud. *This PN includes a pair of speakers only. It does not include fairing adapter rings.